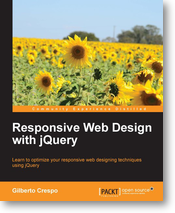 jQuery UI, the official UI widget library for jQuery, gives you a solid platform on which to build rich and engaging interfaces quickly, with maximum compatibility, stability, and effort. jQuery UI’s ready-made widgets help to reduce the amount of code that you need to write to take a project from conception to completion. 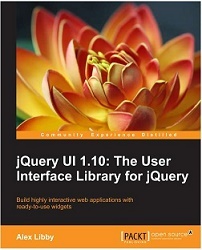 jQuery UI 1.10: The User Interface Library for jQuery has been specially revised for Version 1.10 of jQuery UI. It is written to maximize your experience with the library by breaking down each component and walking you through examples that progressively build up your knowledge, taking you from beginner to advanced user in a series of easy-to-follow steps. Throughout the book, you'll learn how to create a basic implementation of each component, then customize and configure the components to tailor them to your application. Each chapter will also show you the custom events fired by the components covered and how these events can be intercepted and acted upon to bring out the best of the library. We will then go on to cover the use of visually engaging, highly configurable user interface widgets. 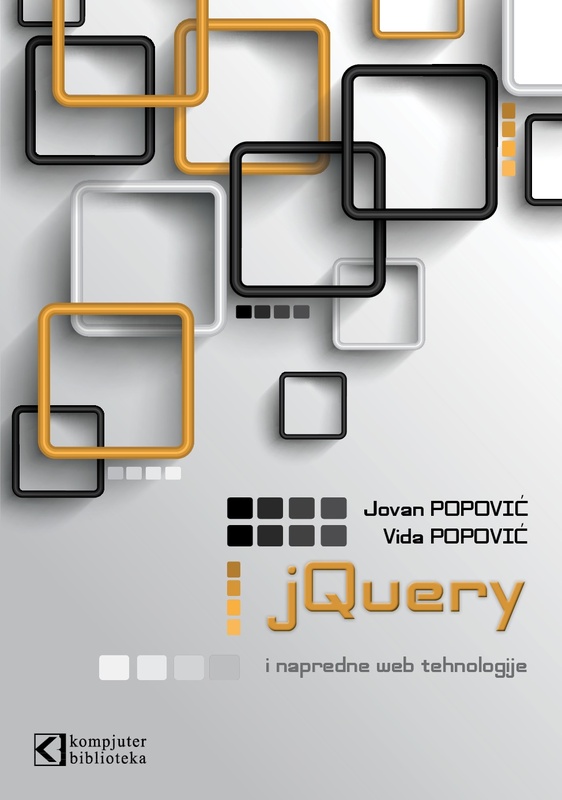 At the end of this book, we'll look at the functioning of all of the UI effects available in the jQuery UI library. Ako vas zanima programiranje web aplikacija, bez obzira koje tehnologije koristite za razvoj serverske strane, poznavanje HTML5 i jQuery tehnologija je veoma važno. OVU KNJIGU JOŠ NE MOŽETE DA KUPITE. ONA JE SAMO NAŠ PREDLOG ZA PREVOD.